There are many types of blinds and shades. If you check your manufactures warranty it should give cleaning instructions. If you can’t find your instructions we would suggest the following: Dust regularly with a duster, or proper attachment from a vacuum, depending on the type of blind or shade. Most fabrics can be wiped off with a mild detergent but if the shade is dusty you will be creating a muddy stain. If you are unsure try an inconspicuous spot or go straight to the professionals. 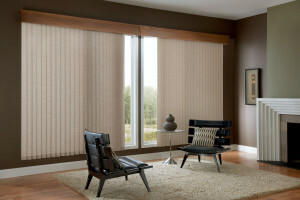 Hard window coverings (except for wood) are pretty straight forward to clean, but the fabric shades can be tricky. There are many things to watch out for and some shades can simply fall apart. We use our 25 years of experience to handle your fabrics with the best care possible and try to prevent problems. Problems are not common but do happen as manufacturers look to less expensive fabric suppliers to cut cost and some of these are not detectable. OUR BLIND CLEANING is done at our plant and will normally require the blinds to be out of the house for one to two days, depending on the type of shade and work required. You can either drop them off at our shop or take advantage of our pickup and delivery service. This service includes the take down and replacement of the shades from the windows. When factoring in time and fuel this is a service worth consideration. OUR PRICING is very competitive and we only need to ask a few simple questions to give you a price over the phone or by email.